Adkins, Sergeant Herbert Lee Junior, 1932-1987. Served in the U. S. Army during the Korea Police Action. Baughman, PFC Homer W., 1929-1990. Served in the U. S. Army during the Korea Police Action. Bell, William R., 1927-1996. Served in the U. S. Army during the Korean War. Brown, Raymond G. 1930-2002. Served during the Korea Police Action. Cain, CPL Dale Warren, 1932-2006. Served in the U. S. Army with Military Police during Korea Police Action. 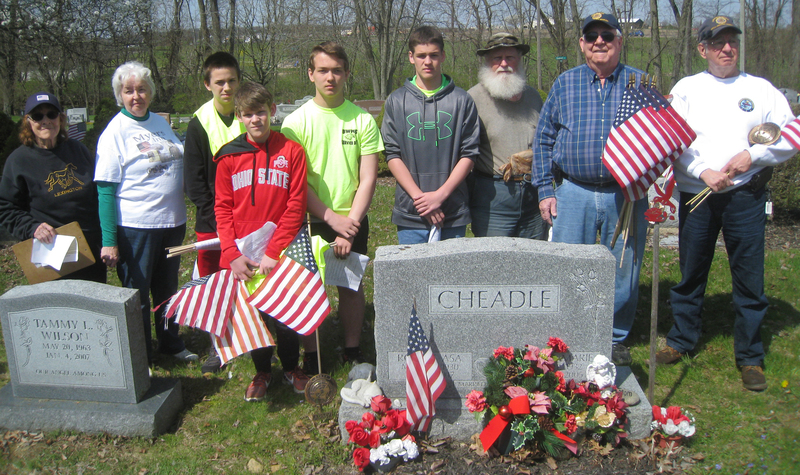 Cheadle, Robert Asa, 1930-2017/ Served in the U. S. Army during the Korea Police Action; Was Master Parachuter with 50 jumps; attended Honor Flight Tour in D. C.; Obituary state: Bob took tours of local cemetery placing Flags on the graves of veterans. 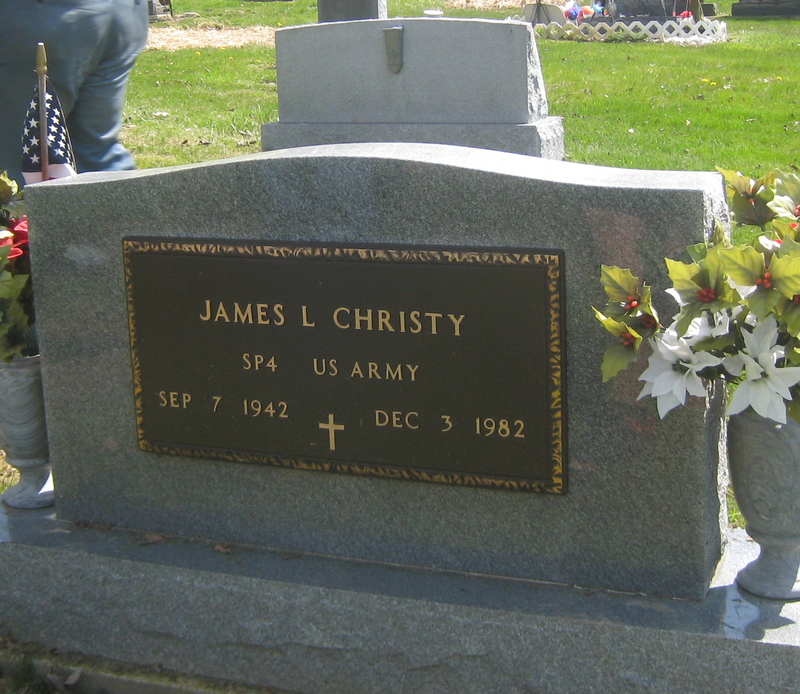 Christy, SP4 James, 1942-1982. Served in the U. S. Army during the Korea Conflict. Conklin, Charles, 1933-2015. Served in the U. S. Air Force during the Korean Conflict. 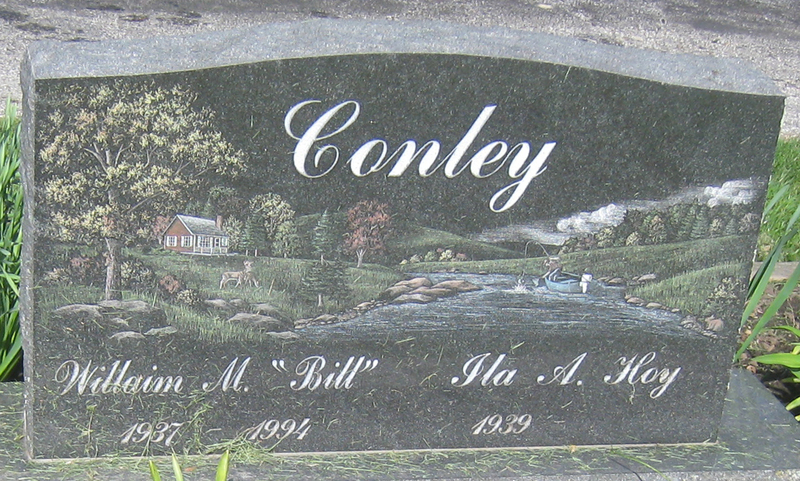 Conley, William M. 1937-1994. Enlisted in the U. S. Air Force on April 19, 1955; Served in the U. S. Air Force until discharged on February 3, 1959. Crawford, Lee B., 1936-1965. Served in the USNR Ohio ADE 1 during Korea Police Action. 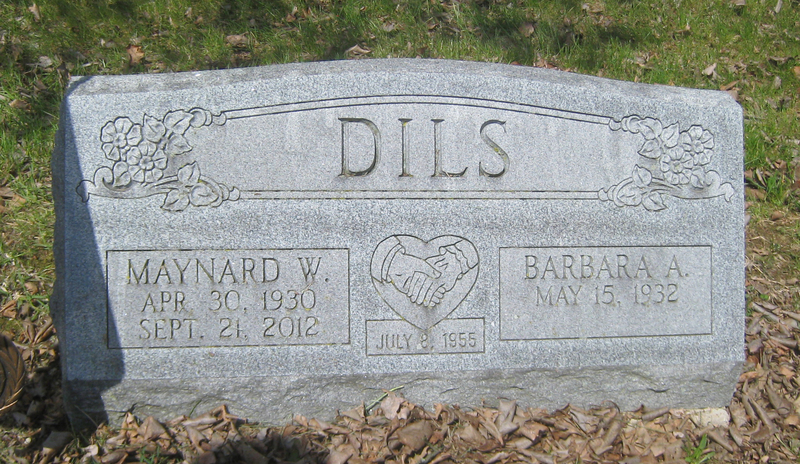 Dils, Maynard, 1930-2012. Served in the Korea Police Action. 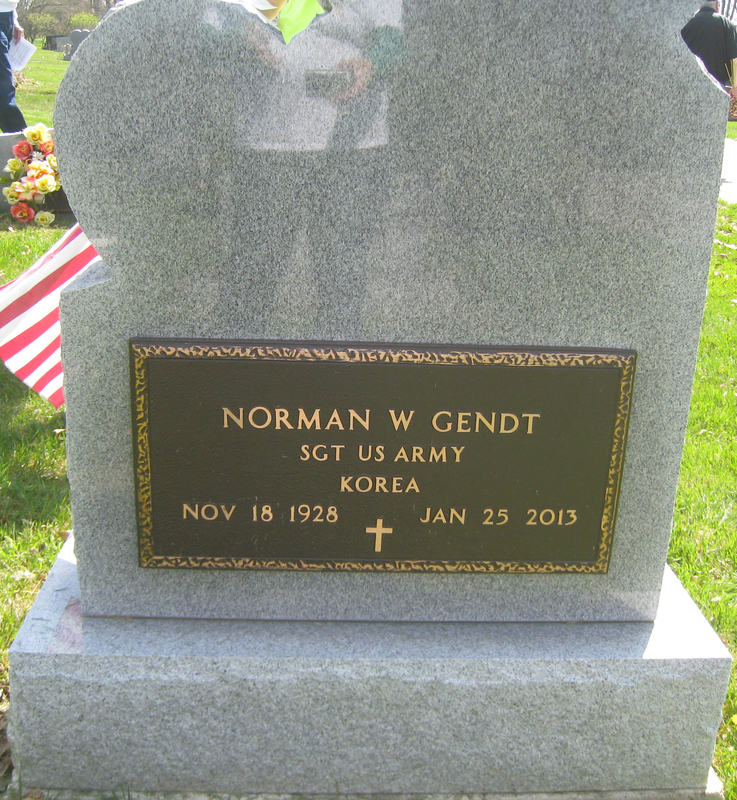 Gendt, Sergeant Norman W., 1928-2013. 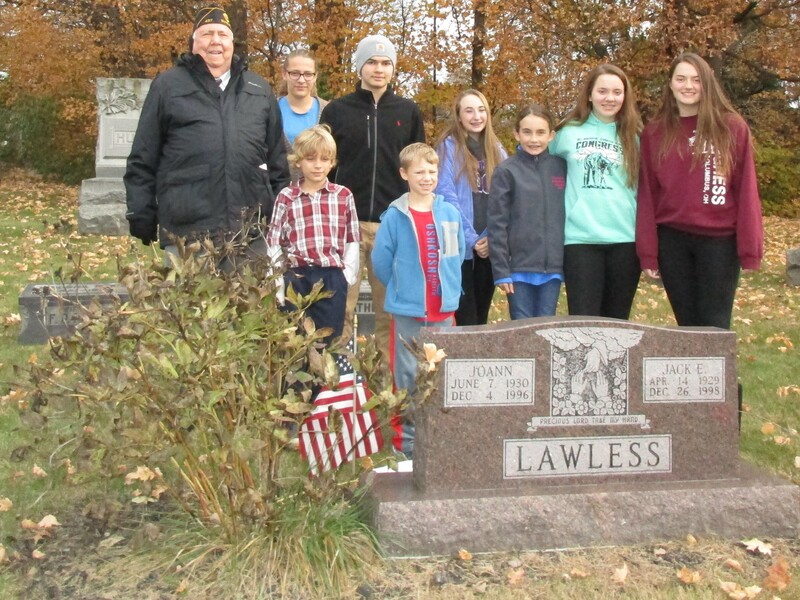 Served in the U. S. Army during the Korea Police Action; Longtime Pastor of Sunbury United Church of Christ. Gernert, PFC Anthony, 1969-2010. Enlisted on August12, 1987 and Served in the U. S. Army during the Persian Gulf War; Released on August 11, 1991. Hale, SSG Junior L., 1932-1989. Served in the U. S. Army during the Korea Police Action. 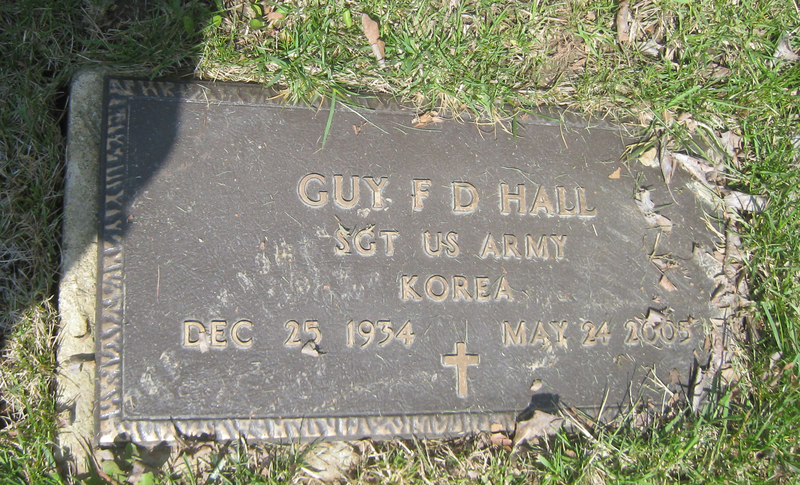 Hall, Sergeant Guy, 1934-2005. Served in the U. S. Army during Korea Police Action. Hamon, CWO Jack G., 1928-2009. Served in the U. S. Army during the Korea Conflict; Earned the Bronze Star Medal Award. Horn, SP Donald Morris, 1938-2017. 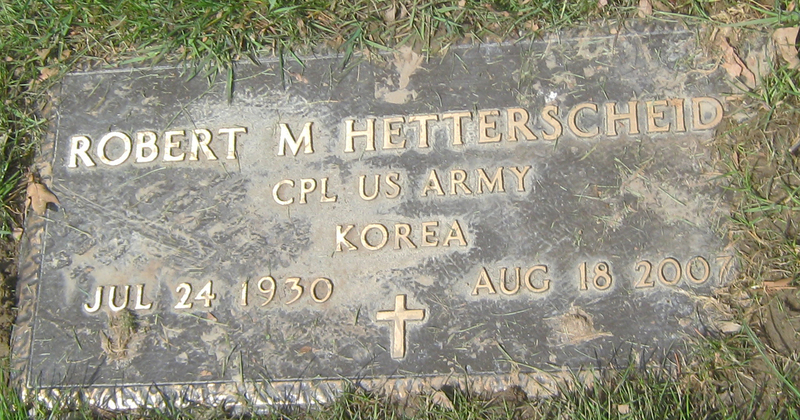 Served in the U. S. Army during the Korea Police Action. Horn, SP4 (E4) Robert Eugene, 1937-2018. Enlisted for 3 years as a Private E-1 in US Army Corps Dec. 5, 1960 in Columbus, Ohio. He served as a Missile Integration Repairman with 1 year in Korea. He received the Good Conduct Medal, Expert (Rifle M-1) and Sharpshooter (Rifle M-14)). Upon honorable discharge from Oakland, California, in August 1962, he was transferred to Army Reserves until Dec. 1966. 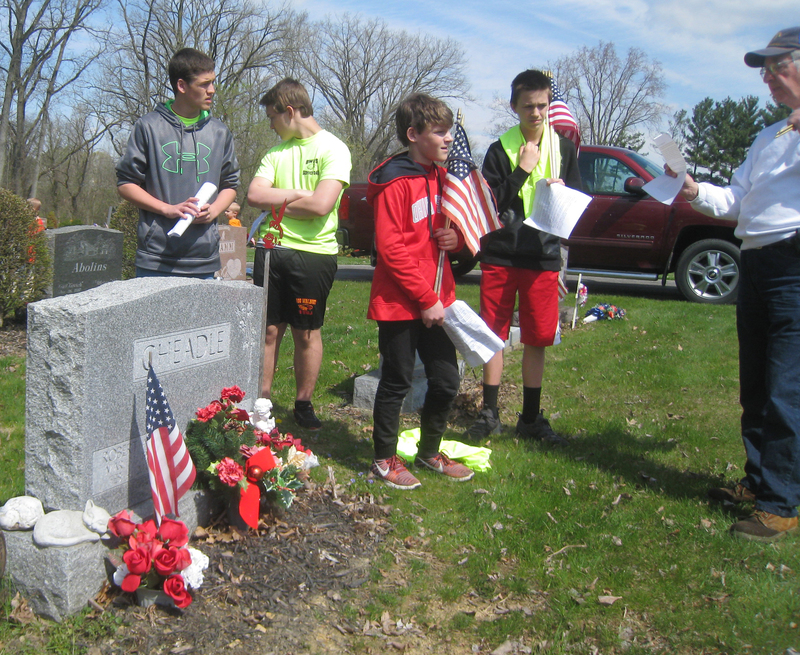 Later he served as a civilian with the Air Force in Newark, Ohio. Hughes, Reverend Randle B. Hughes, 1936-2002. Served in the Ul S. Marine Corps and the U. S Air Force (M56 Air National Guard) during the Korea Police Action. Kirkpatrick, Private Virgil H., 1920-1997. Enlisted in Army Air Corps, Branch A at Patterson Field, Fairfield, Ohio on November 11, 1942; World War II and Korea Police Action. Kusche, Wolfgang Dieter, 1931-1972. Enlisted on February 15, 1954 in the U. S. Army and served during the Korea Police Action. Released on February 21, 1956. Lang, Charles Louis, 1932-2013. Drafted, then served two years in the U. S. Navy between Korean and Vietnam War. Lawless, Sergeant Jack Elvin, 1929-1998. Enlisted in the U. S. Marine Corps on March 28, 1948; Released March 27, 1952, during Korean War. 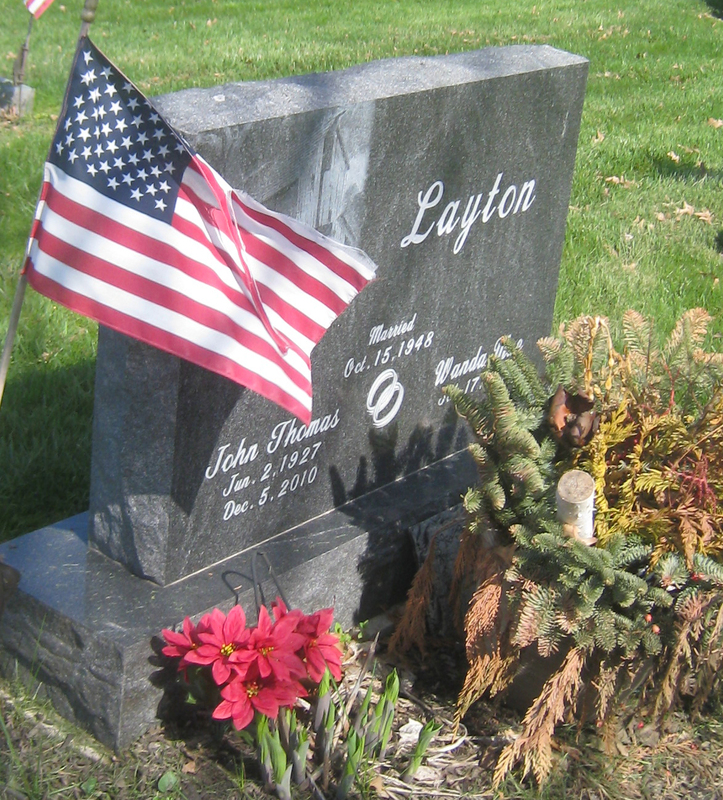 Layton, SFC John T., 1927-2010. Served in the U. S. Army during World War II and Korea Police Action. 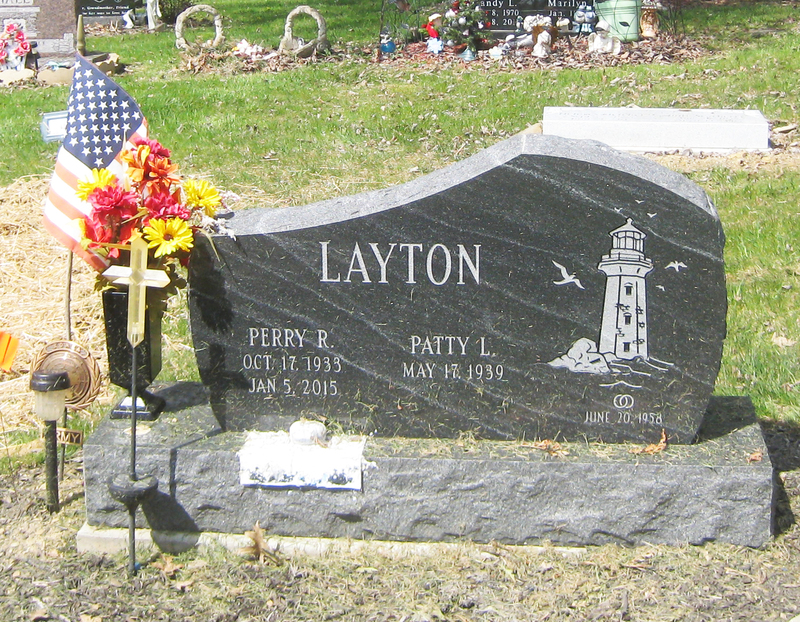 Layton, SP3 Perry A., 1933-2015. 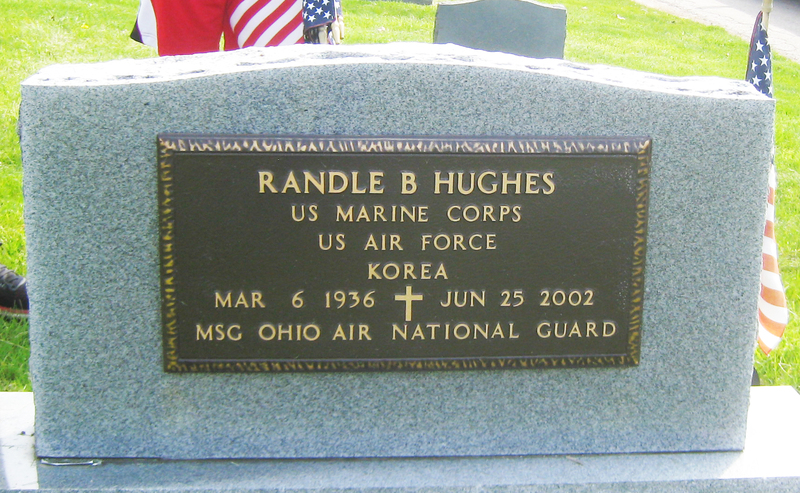 Served in the U. S. Army during the Korea Police Action. 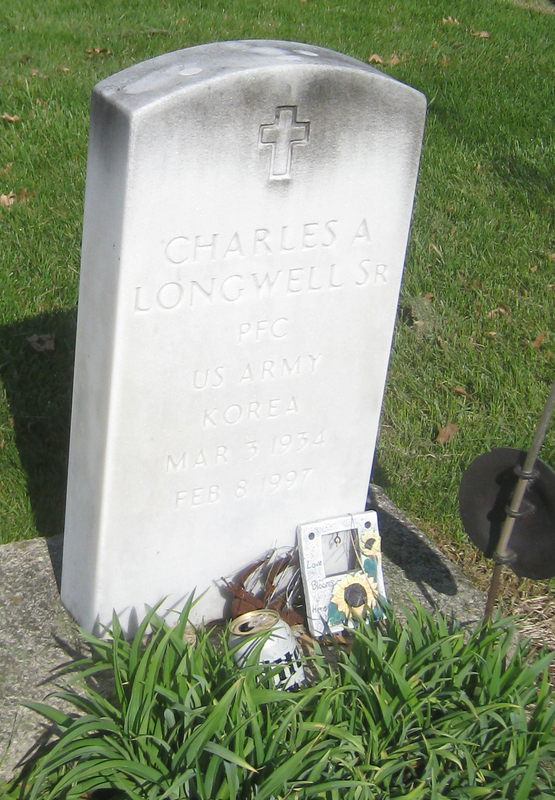 Longwell, PFC Charles Alton Senior, 1934-1997. Served in the U. S. Army during Korea Police Action. Martin, William Randolph YN3, 1931-1979. Enlisted in the U. S. Navy on June 9, 1943; served during the Korea Police Action’ released on April 14, 1953. McMillan, Richard S. 1932-1996. Enlisted in the U. S. Army on April 3, 1949; Served during Korean Police Action; Released on March 3, 1953. 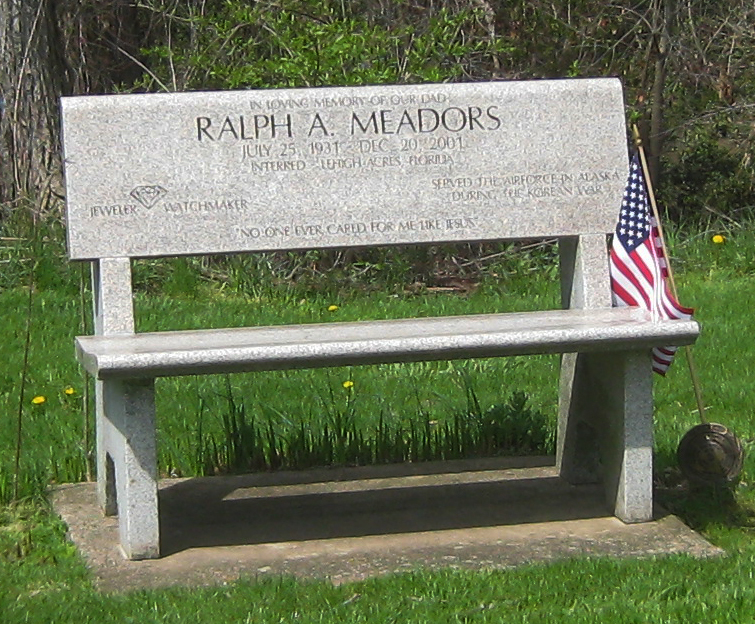 Meadors, Ralph, 1931-2001.Enlisted in the U. S. Air Force on July 27, 1950; Served in U. S. Air Force in Alaska during Korea Police Action. Discharged on July 26, 1954. Moore, A2C Robert L., 1934-1963. Enlisted June 1, 1951; Served as OH A2C in U.S. Air Force during Korea Police Action’ Released on May 31, 1955. Morgan, Wilbur A.1931-1995. Served as F A in U. S. Navy during Korea Police Action. 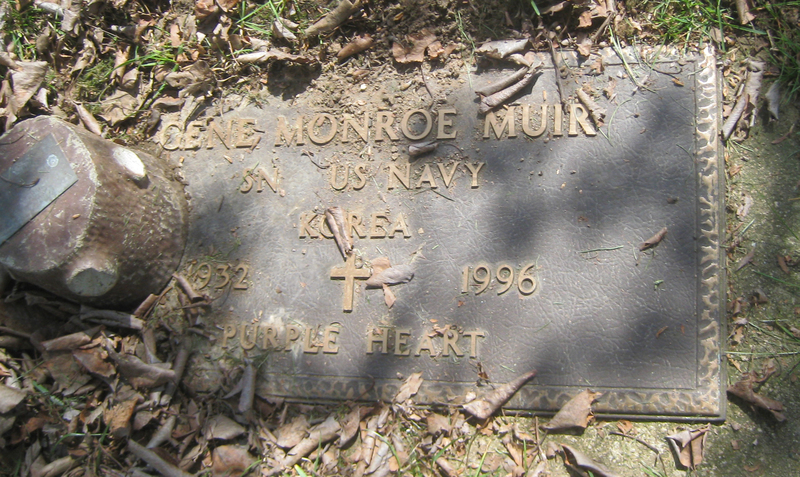 Muir, SN Gene Monroe, 1932-1996. Served in the U. S. Navy during the Korea Conflict. Awarded Purple Heart. 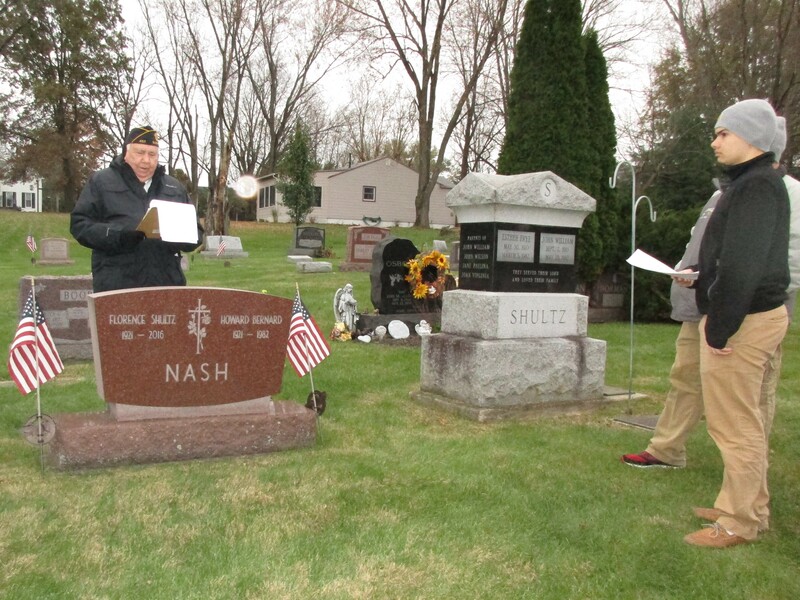 WW II Nash LCDR Florence Shultz, 1921-2016. Served in the U. S. Navy during World War II and Korea Police Action. 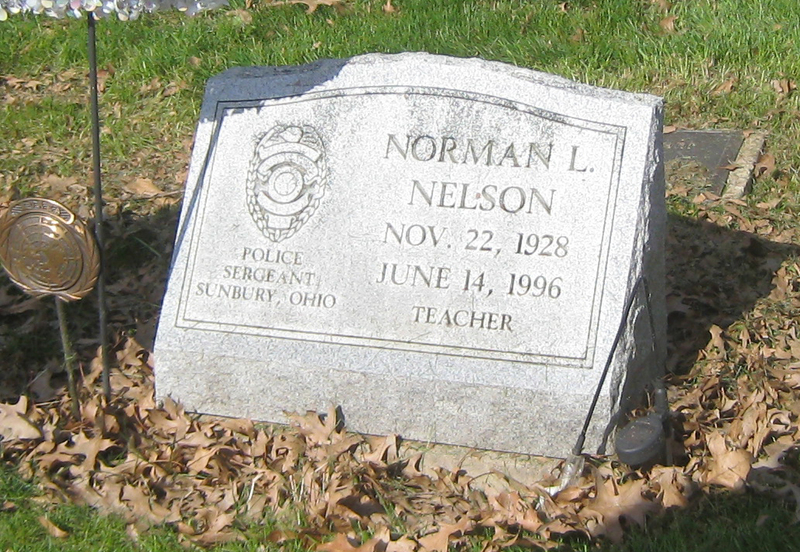 Nelson, Norman L., 1928-1996. Served in the U. S. Navy during the Korea Police Action. 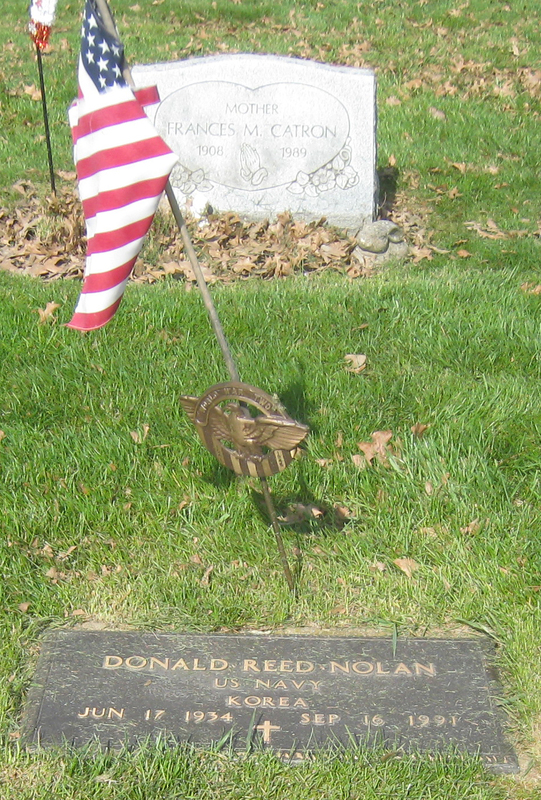 Nolan, Donald Reed, 1934-1991. Served in the U. S. Navy during the Korea Police Action. also in WWII Owen, Lieutenant Colonel George Raymond, 1914-1977. 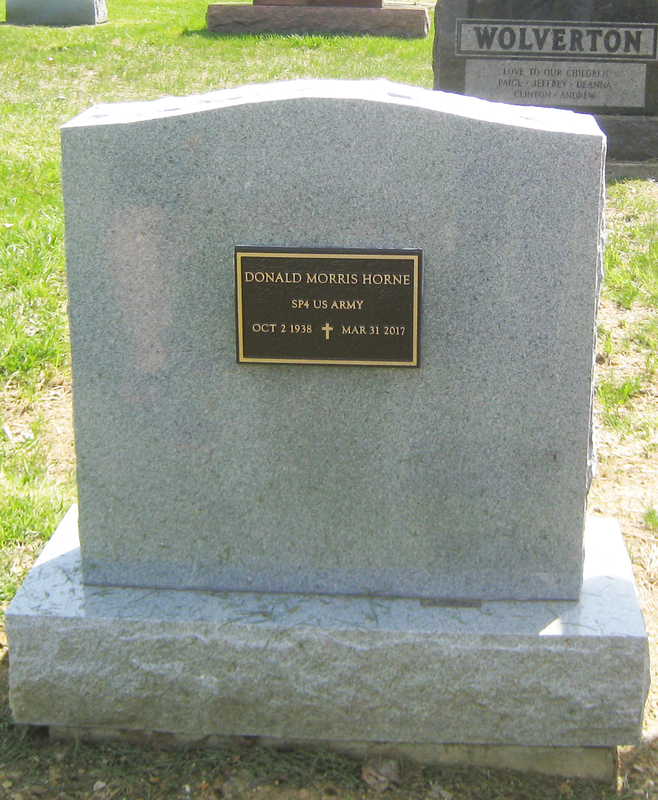 Served in the U. S. Army during World War II and Korea Police Action. Perry, Carl “Bob”, 1940-1967. Served as R D 2 in U. S. Navy during Korea Police Action. Pond, Leland, 1929-1980. Served in the U. S. Army during Korea Police Action. Potter, A1C Gary K., 1937-1985. Enlisted on August 19, 1955 in the U. S. Air Force and served during the Korea Police Action; Released on July 15, 1959. Robins, Ralph N. Jr. 1925-2000. Served in the U. S. Air Force during World War II and Korea Police Action. Spearman, Corporal Harry Lawrence, Dec. 27, 1928-October 23, 1951. Served in the U. S. Marine Corps, 1 Marine Division. Died in Korea. 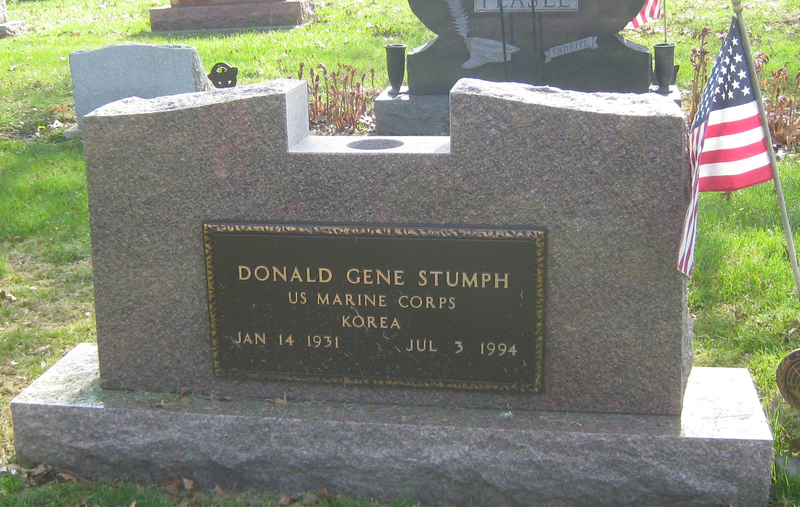 Stumph, Donald Eugene, 1931-1994. d Enlisted in the U. S. Marine Corps in October, 1952; Served in the Co. G 3D of the U. S. Marine Corps during the Korea Police Action; Died on July 3, 1994 at age 63 in Riverside Hospital in Columbus, Ohio. 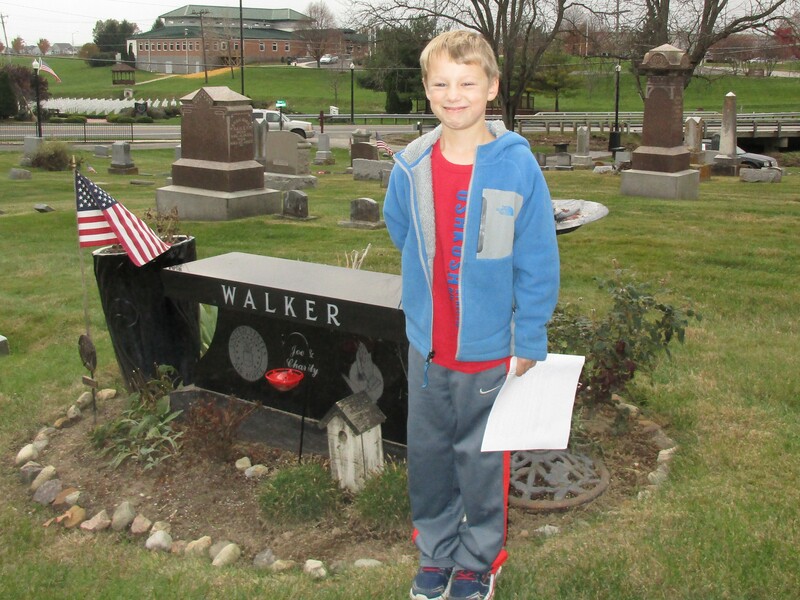 Walker, Major Joseph Eugene, 1933-2011. Served as a Major in the U. S. Air Force during Korea Police Action. Weatherall, T Sergeant William S., 1954-1990. Enlisted in the U. S. Air Force on July 16, 1951 and served during the Korea Police Action/Vietnam Conflict; Discharged on June 30, 1973. 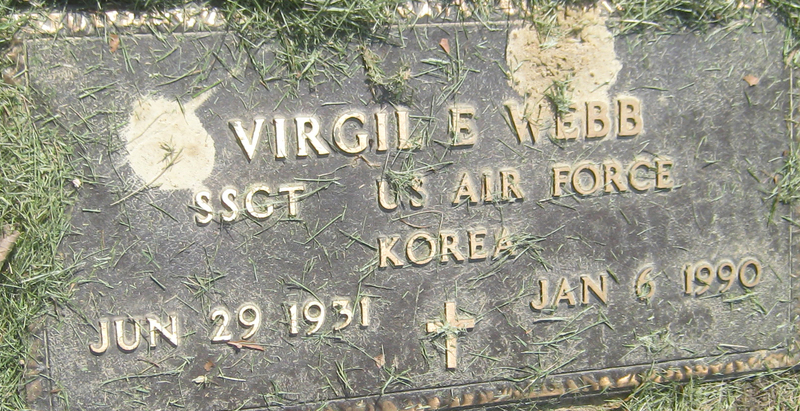 Webb, S. Sergeant Virgil E., 1931-1990. Enlisted in the U. S. Air Force on September 17, 1951; Served in U. S. Air Force during Korea Police Action; Discharged on September 16, 1955. Whitt, Private Clarence Edward. Junior, 1932-1992. Enlisted on February 10, 1953 in the U. S. Army and served during the Korea Police Action. ; Was discharged on July 1, 1953. Williams, Keith L., 1932-1990. Enlisted on April 4, 1951 in the U. S. Navy during the Korea Police Action; Released on March 10, 1955. 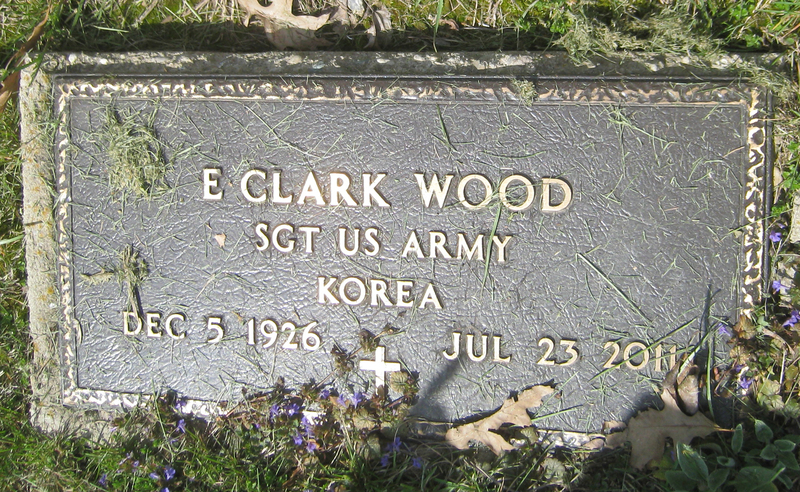 Wood, Sergeant Emil Clark, 1926-2011. Served in the U. S. Army during the Korea Police Action. 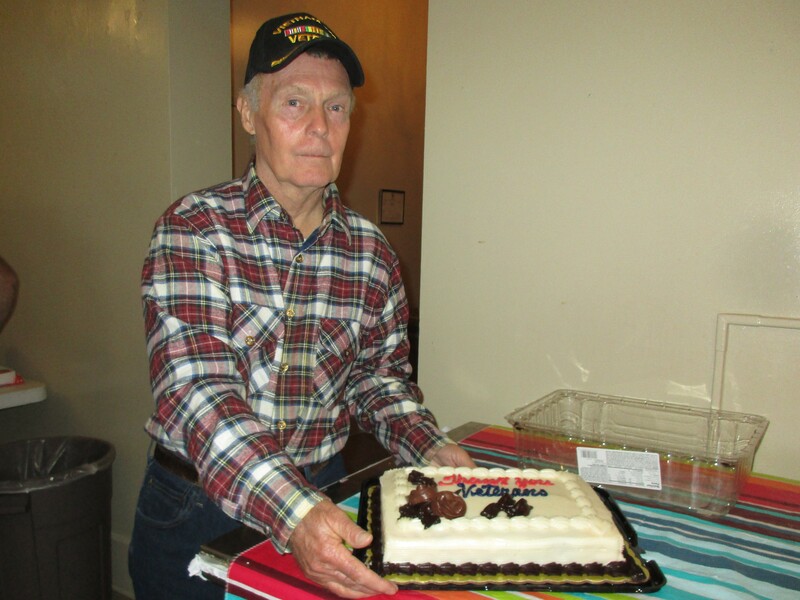 Veteran Roger Owens with the Veteran Cake at Potluck following ceremony in cemetery. 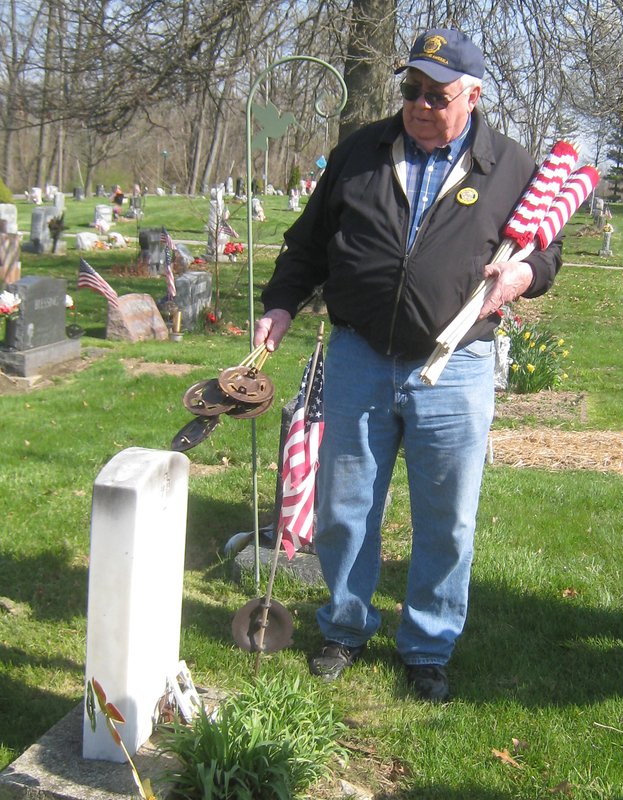 Roger's brother Warren helps identify the veteran's graves.